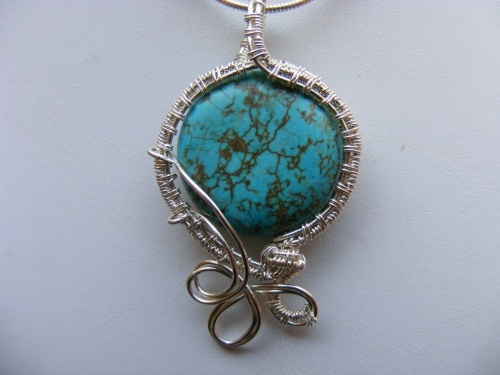 This turquoise gemstone has been embelished with woven sterling silver borders and curls on the bottom of piece. This very different design is delicate but still very dramatic. Piece measures 1 5/8" from top of bail to bottom of pendant and 7/8"wide. Pendant comes with a sterling silver snake chain.